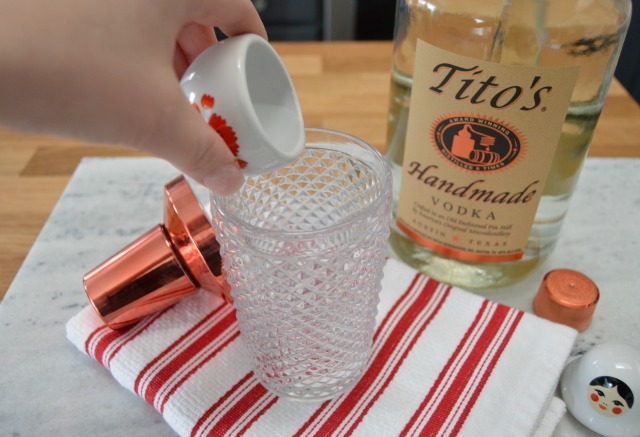 You are going to love this easy tutorial on How To Make a Moscow Mule and some amazing gift ideas too! 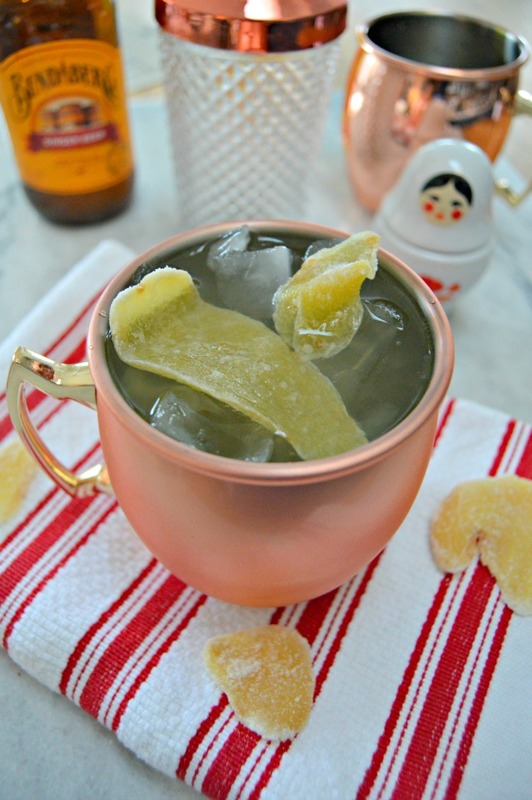 I partnered with Gigasavvy to bring this Moscow Mule Recipe and gift ideas to you! All opinions, ideas and photos are mine. I’ve gotta tell y’all…I’m not a big “cocktail” kinda girl, I’m more of a wine kinda girl. A few weeks ago, a friend ordered a Moscow Mule while we were out watching a basketball game, and offered me a drink. Now, I’m always up for trying new foods, but I usually shy away from trying friend’s cocktails. 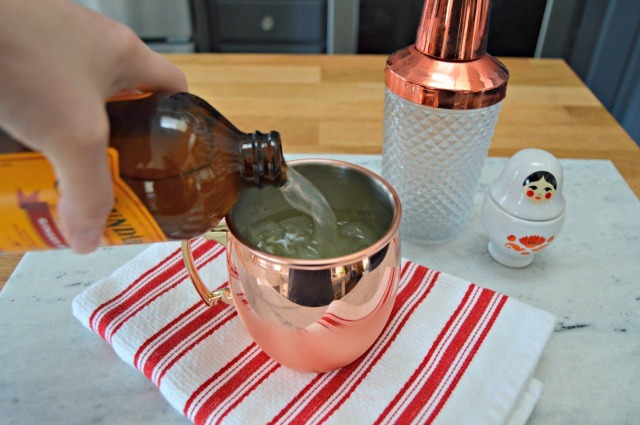 But…I LOVE those cute copper mugs they serve Moscow Mules in, so I said yes to trying hers. I was delightfully surprised at how much I liked it. It was a little sweet, but not too sweet and a little tart, which I love. It was light and not too boozy. I can definitely see myself having a Moscow Mule or two in the future! 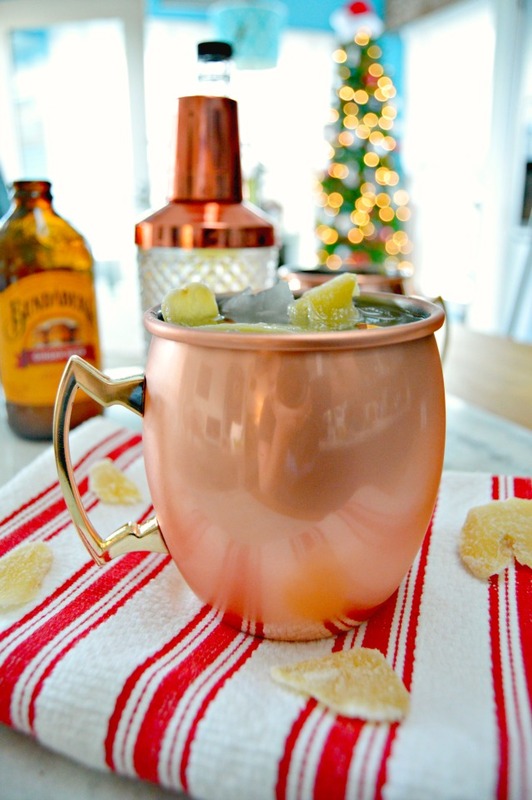 Because I’d rather enjoy my cocktails at home and don’t go out much, I had to find out how to make one for myself, and I wanted to share this easy Moscow Mule Recipe with you! I also want to tell you about some super luxurious gift boxes that are perfect for Christmas or any holiday for that matter! I put together a quick video showing just how easy they are to make, and am also including photos and a recipe that you can print for yourself below! 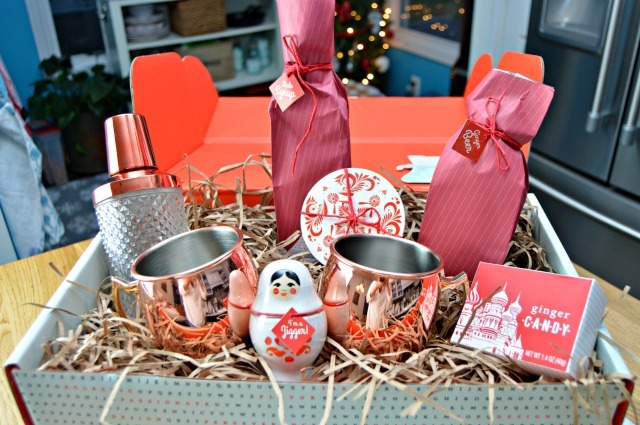 This is the Moscow’s Finest, A Moscow Mule Lover’s Gift Set…it’s got everything you need to make Moscow Mules for two! Isn’t that little matryoshka jigger the cutest? I unboxed my Moscow Mule Kit and wanted to show you everything out of the box. 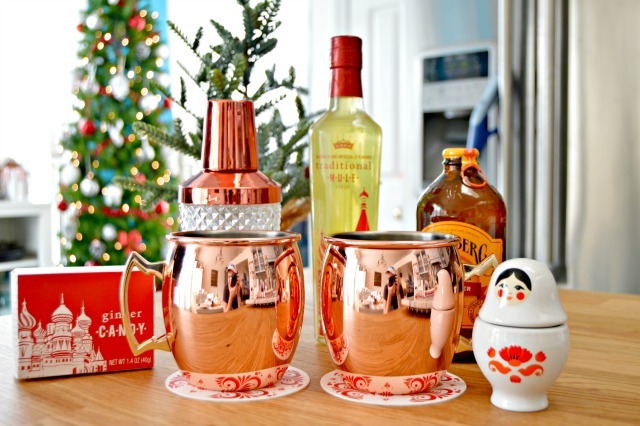 I am in LOVE with the copper mugs…now onto the Moscow Mule making! Pour vodka and mule syrup or lime juice into into a cocktail shaker. Add ice. Shake well. Pour mixture into a copper mug. Add ginger beer. Add garnish. ENJOY! Add vodka, lime juice or mule syrup and ice to a shaker, and shake well. Pour into a copper mug. 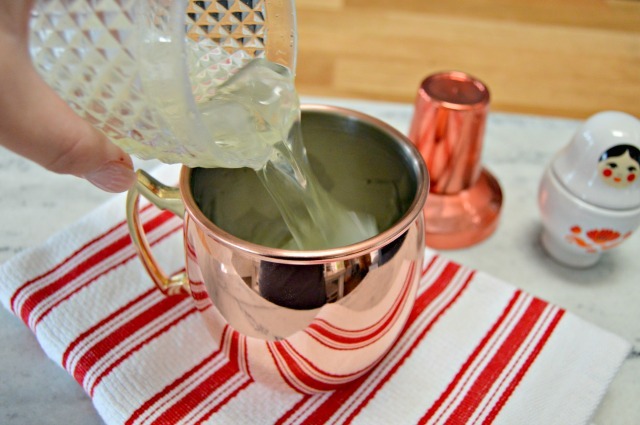 Add ginger beer and garnish and voila…you have a fancy looking Moscow Mule…time to enjoy! Let me tell you a little more about Thoughtfully! 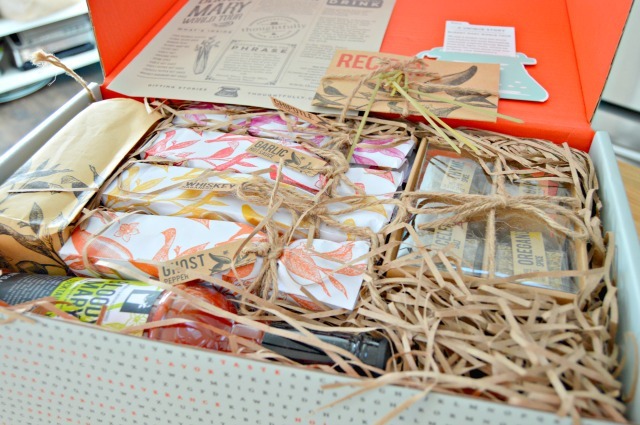 Thoughtfully has so many amazing gift options like this Bloody Mary World Tour Gift Set! It has all of the fixings for making Bloody Mary’s. I love that it includes a Bloody Mary recipe book, Bloody Mary Mix, 4 different sauce mixes, herbs and spices and the cutest Bloody Mary glass that says, “You Say Tomato, I Say Bloody Mary.” I am saving this one for my Bloody Mary loving friend, Melissa! 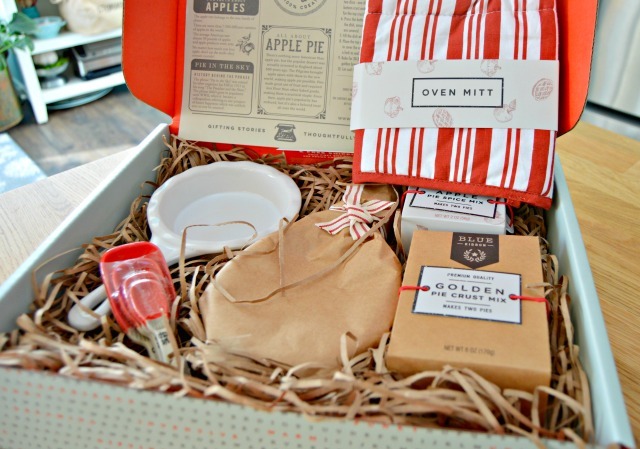 This is the Apple Pie Love Story Gift Set, and this one is perfect for my daughter Kate, who loves to bake! It includes everything you need to make 2 mini apple pies…you only supply the apples! Those little pie pans and measuring spoons are so cute and the kit even includes an Oven Mitt! Thoughtfully offers sooo many beautiful gift sets that are sure to make anyone in your life smile. There are gift sets for coffee lovers, bakers, the cocktail connoisseur, your foodie friends and so many more. There are even options for birthday gift boxes and thank you gifts too. These gifts are not only perfect for family and friends, but would also make great gifts for your boss, clients or friends that are far away that you want to feel special! You can find all of Thoughtfully’s amazing gift options HERE! buy croutons at the time and she made her own by toasting bread and rubbing it with garlic. memories! The reason why I remember the mules is because my father had a bar and those cups sat on that bar the rest of his life gathering dust. So the Caesar Salad and the Western Omlet were the winners! I also read an article in the Wall Street Journal that said that bars were having trouble because people were stealing the cute little cups. My favorite drink! However, I prefer real lime juice and also add soda water to cut the ginger beer because I don’t like my drinks sweet. You could also add fresh mint and/or thyme.